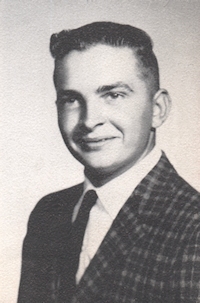 Obituary – Cowell, Dennis Floyd « Perry High School Alumni Association, Inc.
F.F.A. ’59-’61, Homeroom Secretary ’62-’63. Memorial services for Dennis Floyd Cowell will be at 2:00 p.m., September 6, 2007 at the Perry Funeral Home Chapel. Dennis Cowell was born on September 29, 1943 to Floyd Clarence and Dorothy Eugenia (Lancaster) Cowell in Perry, Oklahoma. 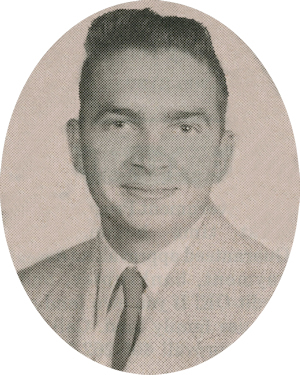 Dennis grew up and attended school in Perry, Oklahoma. He then attended Beaches Beauty School in Enid, OK, and later opened Hair Etc. where people learn to love him for almost 43 years. Mr. Cowell enjoyed dancing, and collecting tin boxes. He also spent his time working in his yard. His family appreciated the time he gave taking care of them. Mr. Cowell passed from this life on September 2, 2007 at the age of 63 years at St. Mary’s Hospital in Enid, OK.
Dennis is survived by his sister Sherry Schweer and her husband Bob of Perry, OK, niece Shelby Johnston and her husband Tim of Newkirk, OK, and nephew Trent Voss of Newkirk, OK. Dennis has 2 great nieces, Chelsea Voss, Shyann Voss, and a great nephew Cody Johnston. He is survived by several cousins and friends. Mr. Cowell was preceded in death by his parents and 1 brother Packy Cowell. Memorial contributions may be made to the American Cancer Society in care of Perry Funeral Home, 203 E. Fir, Perry, OK 73077.